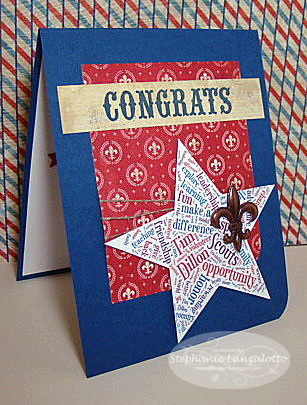 This card is for a very special young man who has achieved the rank of Eagle Scout. His Court of Honor is tomorrow. He's a great guy who has worked long and hard and overcame some big obstacles to get here. I am so pleased for and proud of him. When I was trying to come up with a card for him, I ran across some word art about scouting on Pinterest. Then I remembered THIS post from by Kim S of Joyful Creations With Kim and how much I loved her word cloud creation for the Confirmandi in her church. 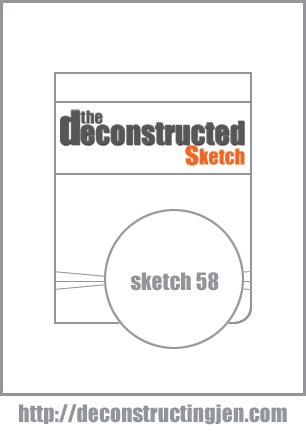 I went to the link she provided and it all came together from there with the help of Jen's Deconstructed sketch for this week. Inside, the sentiment is from PTI's For the Graduate: Dreams Believed are Dreams Achieved. Perfect for this occasion. Thanks for stopping in today! I'm so glad you like the link...isn't it fun??? Fabulous card you built around that store.